There were ugly scenes at the Nagguru Police Headquarters on Thursday as outspoken Assistant Superintendent of Police (ASP) Muhammad Kirumira arrived for the ruling by the Police Court. Journalists were blocked from accessing the Court room in which Kirumira was convicted of four counts and acquitted on four other counts. Kirumira was convicted on charges of unlawful use of authority a charge that was brought against him when he paraded suspects who were operatives of police flying squad. But Kirumira was acquitted on the charges of Corruption and extortion, abuse of office and torture. Following the convictions, Kirumira was demoted to lower ranks. But he insisted that he would appeal the conviction. 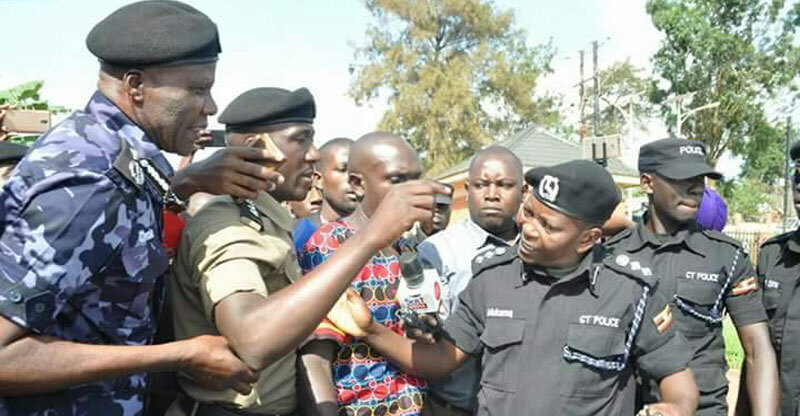 Police spokesperson SSP Emilian Kayima described the act of denying journalists access to court proceedings without prior communication as “regrettable” and apologised to the media fraternity for the Maltreatment. Earlier in the week, Kirumira refused to attend the proceedings without the presence of journalists calling the police court a kangaroo court. 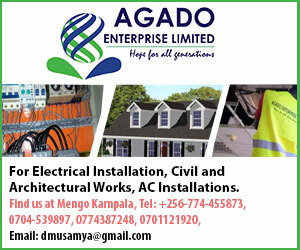 But city lawyer Julius Galisonga claimed that the Police court did not break any law in preventing journalists to access ‘court’, mentioning that ‘court’ had the legal mandate to do so, provided the reasons given are justifiable. “It is not mandatory that all trials should be conducted in an open court and depending on the circumstances, it can be decided on whether it is held before cameras or not. I am not privy to the reasons given by the police court, but for cases where emotions are so high for the tribunal to conduct business, it is within their rights to bar the media,” Galisonga said in an interview with The Sunrise newspaper. Kirumira’s trial has captivated the public largely due to his cantankerous style, blatant and unusual behavior expected of men in uniform. The way he has been reacting to directives, that included locking himself in his house, led some to posit that he may be having a powerful hand behind him or that he is trying to pull stunts in preparations for him to enter politics. Indeed, Kirumira confirmed that he has set his sights on going to Parliament. Striking is a Makerere University legacy!